Abstract: The Texas Department of Corrections (TDC) was responsible for the operation of the prison system from 1957 to 1989, when that function was absorbed by the newly created Texas Department of Criminal Justice. Records in this series are audiocassette tapes from the Carrasco hostage incident that occurred at the Huntsville Unit education and library facility, dating from July 27 to August 12, 1974, and a booklet about the event published that same year by the TDC. The dates of the audiotapes cover most of the eleven-day incident (July 24–August 3) and include the post-incident interviews (August 7–12). The incident, also known as the “Huntsville Siege,” involved three inmates—Fred Gomez Carrasco, Rudy S. Dominguez, and Ignacio Cuevas, who took hostages and made a number of demands to prison officials in exchange for their freedom. The incident ended with the deaths of two female hostages, the wounding of other hostages, and the deaths of inmate gunmen Carrasco and Dominguez. A description of original records referenced in this finding aid is available at http://www.lib.utexas.edu/taro/tslac/20131/tsl-20131.html. About two-thirds of the tapes are dated and arranged in roughly chronological order; the other third are not dated and are arranged as received. Please see the finding aid on TARO (http://www.lib.utexas.edu/taro/tslac/20131/tsl-20131.html) for details on how to access paper-based materials. The Texas Department of Criminal Justice (TDCJ) manages offenders in state prisons, state jails and private correctional facilities that contract with TDCJ. The agency also provides funding and oversight of community supervision and is responsible for the supervision of offenders released from prison on parole or mandatory supervision. The first predecessor of the TDCJ came into being in 1848 when “An Act to Establish a State Penitentiary” was passed by the 2nd Texas Legislature. The act established a governing body of the penitentiary as a three-member Board of Directors, appointed by the governor, with the approval of the senate. The board was responsible for creating and distributing a set of rules and bylaws for the administration of the penitentiary, overseeing the treatment of convicts, preparing an annual inventory of property, and making an annual report to the governor. In July and August of 1974, a hostage incident occurred at the Huntsville Unit education and library facility. Known as the Carrasco hostage incident or the “Huntsville Siege,” it involved three inmates—Fred Gomez Carrasco, Rudy S. Dominguez, and Ignacio Cuevas, who took hostages and made a number of demands to prison officials in exchange for their freedom. The incident lasted eleven days, from July 24 to August 3, ending with the deaths of two female hostages, the wounding of other hostages, and the deaths of inmate gunmen Carrasco and Dominguez. The hostages were employees Glen D. Johnson, Ronald W. Robinson, Aline V. House, Novella M. Pollard, Linda G. Woodman, Elizabeth Y. Beseda (died), Julia C. Standley (died), Bertha M. Davis, Ann Fleming, Bobby G. Heard, and Anthony Branch; Father Joseph O’Brien; and four inmates, Martin Quiroz, Henry Escamilla, Steve Robertson, and Florencio Vera. The surviving inmate gunman, Ignacio Cuevas, was convicted and sentenced to death for the murder of hostage Julia Standley. He was executed on May 23, 1991. The Texas Department of Corrections (TDC) was responsible for the operation of the prison system from 1957 to 1989, when that function was absorbed by the newly created Texas Department of Criminal Justice. Records in this series are audiocassette tapes from the Carrasco hostage incident that occurred at the Huntsville Unit education and library facility, dating from July 27 to August 12, 1974, and a booklet about the event published that same year by the TDC. The dates of the audiotapes cover most of the eleven-day incident (July 24–August 3), also known as the “Huntsville Siege,” and include the post-incident interviews (August 7–12) with the surviving inmate gunman and hostages about the siege. The audiotapes record the conversations between the inmates, director W.J. Estelle Jr., Carrasco’s attorney Ruben Montemayor (who served as a mediator), warden H.H. Husbands, Governor Dolph Briscoe, reporters, hostages and their families, and others. The inventory transcribes information written on the cassettes about either the speakers and/or the content of the tapes. Many of the conversations with the inmate gunmen are either in Spanish or else in Spanish and English. 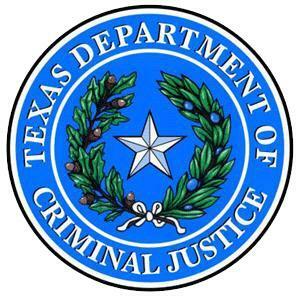 This series is part of the overall Texas Department of Criminal Justice records finding aid. Eleven Days in Hell: The 1974 Carrasco Prison Siege at Huntsville, Texas, William T. Harper, 2004. The Carrasco Tragedy, Eleven Days of Terror in the Huntsville Prison, by Aline House, 1975.